Q: You've got more women in the game. Was that a business decision to reflect the market, or influenced by developers with female players in their families? A: We always want to be sure we're trying to be as inclusive as possible with players. That's one of the reasons in player customization you can choose a real female Spartan now, and choose a real female voice to go with her, and kit her out just like you would male Spartans. You can do some really neat stuff there, and it's really cool too, because contextually all the characters speak to you appropriately then with regards to your gender, in cinematics and also in gameplay itself. Q: That's new - to have gender-appropriate cinematics even? A: Yes, that's something I really pushed for on this project. I wanted to make sure both male and female were treated equally as far as player character was concerned and you could really open up the audience, hopefully, to a broader group of folks. Q: When you make a decision like that, how much is driven by business and marketing decisions about getting X more players? A: You know it has nothing to do with it honestly. Sure we're thinking, gosh, how can we reach out to more players? But it was more of a conscience thing to me personally. That's one reason that I pushed for it so hard - I wanted to make sure we weren't just focusing on that 19 to 30 something male crowd. Q: Have you seen trends - more women playing? A: As the franchise got so popular, and so pervasive throughout media, we did get a huge number of females following the game. Its' a hats off to them to really say hey, look, we really appreciate their support of the game and the franchise. 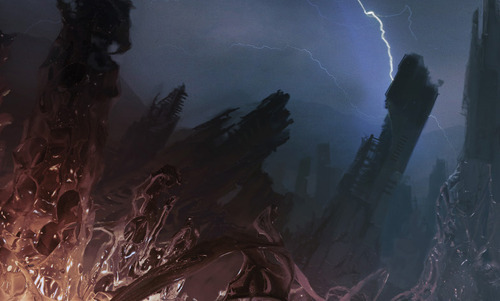 Q: I look for ways that the real world influences the design of your games. I sense a little Afghanistan in this one. There are women in combat now. Could you talk about that? A: Sure, we've always had females in combat even since Halo 1. We've had female marines in there. Now we have army troopers are in reach now. We have both army and marine presence within the game and yeah, we're still staying true to that male and female presence on the battlefield. It's important to us to make sure that we are representing that side of the military branch as best as possible. And certainly, modern day conditions politically and with our wars abroad definitely influence the way we think about what we're approaching with the game. In more ways, it allows us to be a little bit more cautious about what we talk about in the cinematics in the story of us and things we represent in the game to make sure we're not being offensive or that we're just treating some subjects delicately. A: Yeah, with Kat, we really wanted her to not only a female Spartan but we wanted her to be one of the stronger members of the team. To really indicate that she put up with some pretty significant odds in the past, she has a story already. That's true of all the Spartans - they modify themselves in some shape or form as they continue to fight on the battlefields and they're survivors. Because Spartan 3s, the way we fictionalized them, initially they were developed as more of a fire and forget weapon. They were put out there into the field to go against immense odds and not expected to come back. Q: Like red shirts in Star Trek? A: Exactly. These characters fought that odd and they came back and they have modified themselves on the battlefield. It's outwardly visible then with the characters themselves. If you look at each one of them, they're all very unique in their own right, so they're not like some unified super soldier kind of character. They all have their own unique flavor to them. Kat is one of those great characters that shows - with her prosthetic arm - that she went through some stuff that was pretty bad, probably worse than some of those other characters, and she's continued to keep fighting. Q: Will their story be told in the first level, or cinematics through the game? A: We're not overt with telling their history, their background stories. That's the kind of thing for the players who are really interested in it they can delve a little deeper into aspects of the game - little things they can find throughout the environments that might shed a little more light on some of these things with the characters. Q: How do you tell the last installment - how do you come at the challenge of wrapping it all up and meeting expectations and having a sense of finality? A: We explored a number of different opportunities with potentially moving on and carrying on the story beyond Halo 3 and going with that but as soon as we started thinking more about that it tuned into some grandiose - it would have taken forever to tell that story so we're like you know what, it's also not very interesting to us at this point. 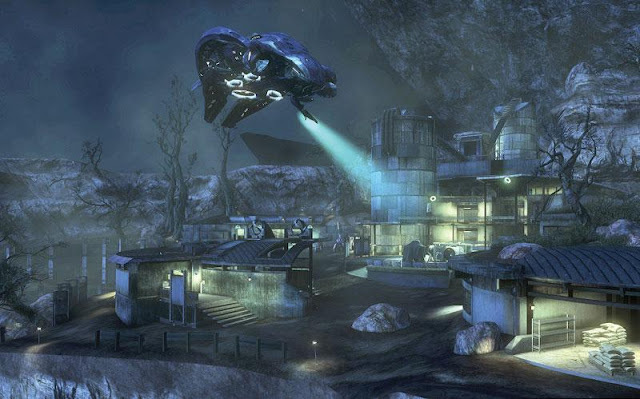 We wanted to bring us back just prior to the events of Halo 1 and really bring this whole franchise full circle - bring in some of the elements that really developed and led to what became Halo 1, the events that led to the possibility of what happened and what launched this franchise. 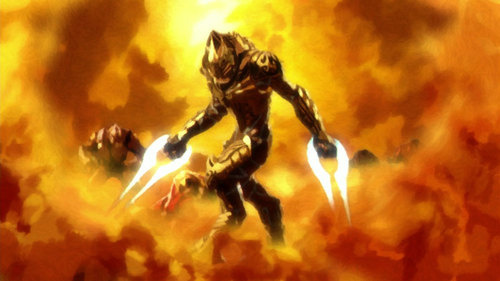 So Reach is this fantastic character as a planet itself - it's a great setting within our fiction, it was the home and ground base for the Spartan program itself. 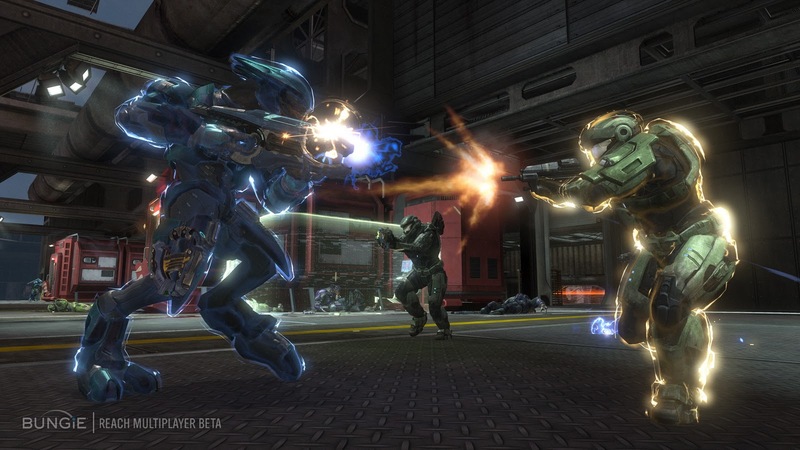 It's one of the great battlegrounds in the fiction where human and covenant forces just had this all out battle. So we were like what better way to end our last installment of Halo with a big, big bang, with this huge epic game, like Reach. In doing so we're also bringing it full circle - let's bring it back to its roots and talk about what's really important about Halo and how it led to Halo 1. 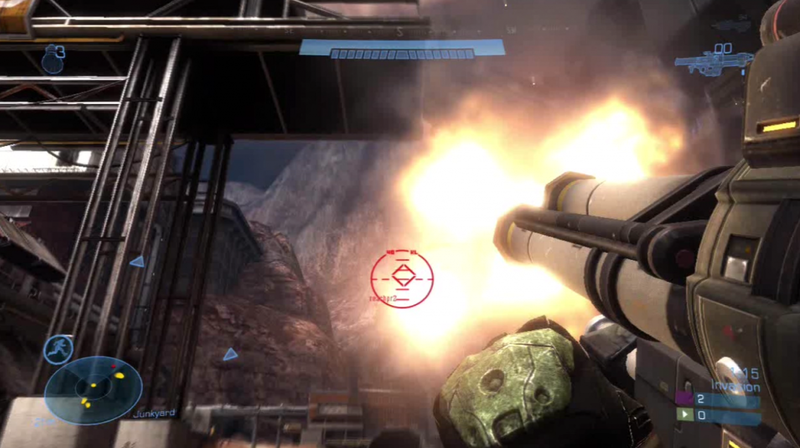 A: We wanted to do something also that felt a little bit different than your regular Halo game. We wanted to make it feel a little bit more raw, a little bit more exposed than a Halo game has ever felt before. That certainly was influenced by recent events, the issues that we've been in as a country - that certainly has influenced us. It's made us realize that this war is not pretty and we're showing that, that there's significant sacrifice being made right now. That sacrifice is represented by the characters in the story they tell within Reach. They're human, they're vulnerable , these Spartans are. They're not omnipotent. They'll go into the battlefield and they will get wounded. This is the story about the fall of a planet. So it's a very serious subject when you get down to it but it's a great rich story to tell. A: A little bit. We looked at things like Black Hawk Down , we looked at Seven Samurai for character development and bringing rich characters to the screen, and Black Hawk Down for flavor - in terms of bringing some of that raw, powerful kind of element to a game. Q: I noticed one of the levels had that intense, percussive feel that you get in some of the modern shooting games like Sony's MAG. A: I sat down with the audio department when we began this game. I'm like, okay, listen, we're going to make this game sound a lot different. It's not only going to look a lot different, we're revamping the engine in order to make this game look amazing. But we want it to sound and feel different as a result - it's not just what it looks like, it's that auditory experience of that crack of the weapon, that ricochet sound off in the distance, that grenade going off next to you, totally blowing your eardrum and making the ground thunk amazingly. We definitely put a huge amount of effort into revamping all of the sounds within the game - so those things you've come to know and love, the sound of the Warthog engine or the sound of the assault rifle, they all got great big facelifts in this game and sound great as a result. Q: How much of an influence was the competition - Call of Duty - to emphasize more realistic soldiers. They're getting hyper realistic now. A: As much as we wanted to make things feel better, we always focus on making sure that it is for the betterment of making the game-play experience better. It's never to try to replicate something in real life necessarily. We definitely wanted to make the characters feel a lot more believable and make their performance on the battlefield and in cinematics a lot more believable as well. So we definitely put a ton of effort into brand new animation systems for the game and new engineering under the hood for the graphics engine and that animation system, for AI so the characters behave smarter on the battlefield as well. We took great efforts across the board in all of these areas to make sure those performances of characters came to life a lot better. Honestly it was all for us because we wanted to make sure what we're doing for the game is the best quality we can possibly put out there. Certainly we want to be able to compete against all of these other games that are coming out. We know there are some really amazing games coming out so we needed to stand toe to toe with them. It's not replicate anything they're doing, it's to make sure what we're doing is for the betterment of the gameplay experience. Also just for the quality of this franchise - we care about that and want to make sure we put out the best quality product we possibly can. Q: I noticed a lot more polish on things - details like the Warthog's dashboard. A: Yeah. It was hard for us too because you know with Halo 1, 2 and 3, sure the battlefield got a little bit bigger and things got a little bit more complex. But honestly with Halo 3 things got so complex we actually had to shrink the battlefield down just a little bit because we couldn't actually push that many polygons and render that many textures on the screen. So this time we're going to explode that view, we're going to bring it open far bigger than what we've ever done before. In addition we're going to pack twice as much detail into it. A: I sat down with the engineering team and they scratched their head for awhile and they're like, "Marcus you're crazy, what are you asking for here? This is insane - to do that is directly at odds with what we can currently do with the engine." So we retooled the engine. We came up with brand new level of detail systems that allow us to render things much further than we've been able to - not only with objects we place in the scenes but with the environment geometry itself. It's a different beast as far as content is concerned. We created those environments so we have much longer distance views than you've ever been able to see. We put a new level of detail system into our AI system as well ... we put up to 60 AI in a scene. We could only do 20 before. So now we have tons of characters out there, there's all kinds of fun things to do in the sandbox as you play through the game as a result. You've got a lot of different opportunity to attack and encounter as well. Q: You got all that onto one disc? A: Amazingly enough we were able to cram it all into one .